There are dozens of different Japanese martial art styles, techniques and schools we can find in history, and this article will provide you with an overview of traditional and modern ones. Several traditional martial arts are rarely practiced today, but most modern ones are based on them. Japanese martial arts are possibly the most popular and well-known in the world, and today there’s about a dozen different styles that are widely popular such as Judo or Kendo. In the past these martial arts were primarily trained for self-defense and combat, but today we’re seeing a lot of different reasons why people train and quite often it’s self improvement, either physically or mentally. The following article will give you a basic overview of the most popular types of martial arts originating from Japan, so if you’re looking to capture your inner samurai and train your warrior skills I’m sure you’ll find the right martial art to train. Koryu types of Japanese martial arts are considered traditional rather than modern. Their focus in on actual combat and application, rather than philosophical self-improvement. Literally translated koryu means “old-school” or “old style” and kobudo means “ancient martial ways”. It’s a general term for Japanese martial arts that originated before the Meiji restoration era (1866 to 1869; see samurai history article for more context). 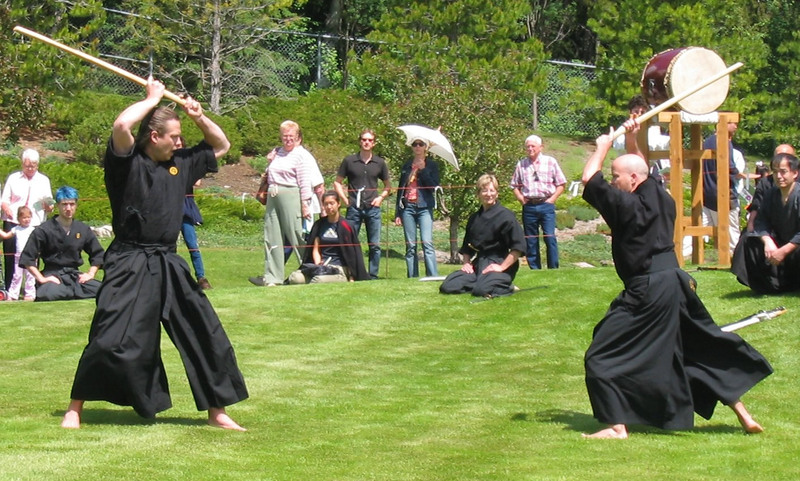 Kenjutsu is the term used for all traditional sword fighting schools. Kenjutsu of course originated with the samurai, but it suffered a huge decline in popularity when the samurai were abolished. 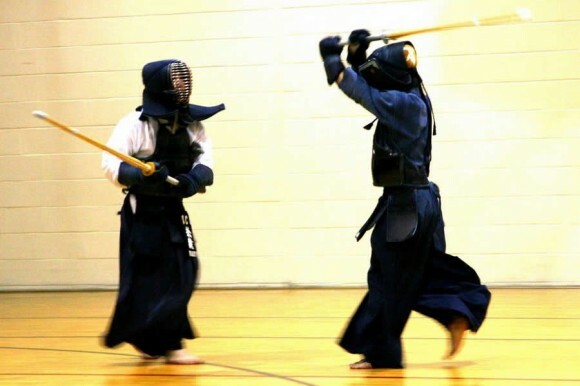 It eventually evolved into Kendo, a martial art which is far more popular today. 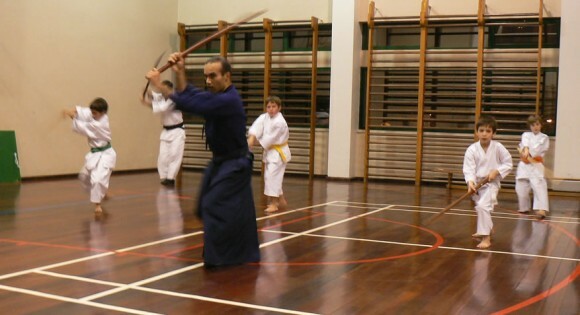 Unlike Kendo, Kenjutsu is practiced almost always with a bokken/bokuto rather than shinai. Battojutsu training. Photo by AIKW Wado Ryu. Literally translated means art of sword drawing. Batto-jutsu training focuses on drawing your sword from the scabbard and doing multiple cuts as a reaction to a sudden or surprise attack. The emphasis is on cutting with the sword. This is the art of drawing a sword from the scabbard, today for the most part replaced with a modern version called Iaido. 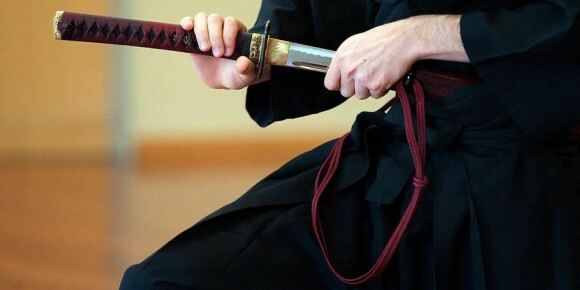 The emphasis of Iaijutsu and Iaido is not on cutting with the sword but just drawing it from the saya. As you might have guessed by the name, Naginatajutsu focuses on combat techniques with the Naginata. It’s the Japanese version of a polearm, whose origins aren’t clear. 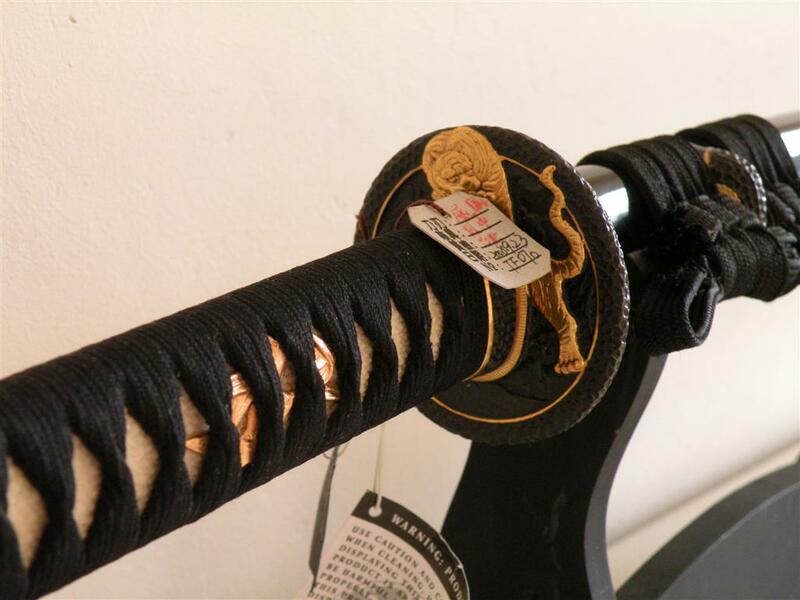 Naginatajutsu is today most often practiced in the form of a sport called either the naginatado (way of the naginata) or atarashii naginata (new naginata). During the Tokugawa period (1603–1868) the naginata was the weapon of choice for women if they had to defend their home while their samurai husbands were away. Despite being widely used by samurai in history, today it’s still mostly practiced by women. Sojutsu fighting with wooden Yari. Photo by Richard Stonell. 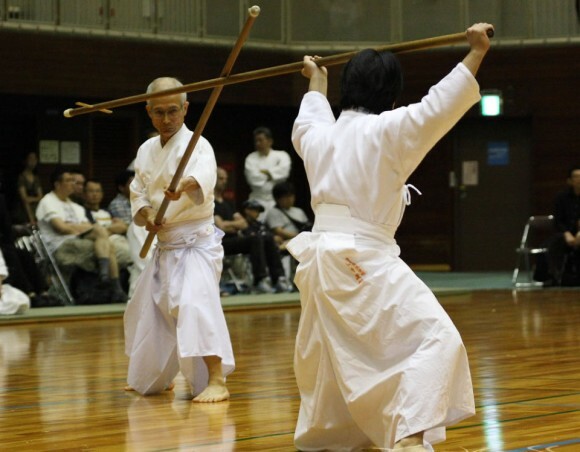 Sojutsu is the art of fighting with the Japanese spear (yari). Throughout the history yari was widely used as it was cheap to produce and required less training compared to other weapons, but today it’s rare to find a school that teaches this nearly forgotten martial art, especially outside Japan. Ninjutsu includes many different ninja techniques. 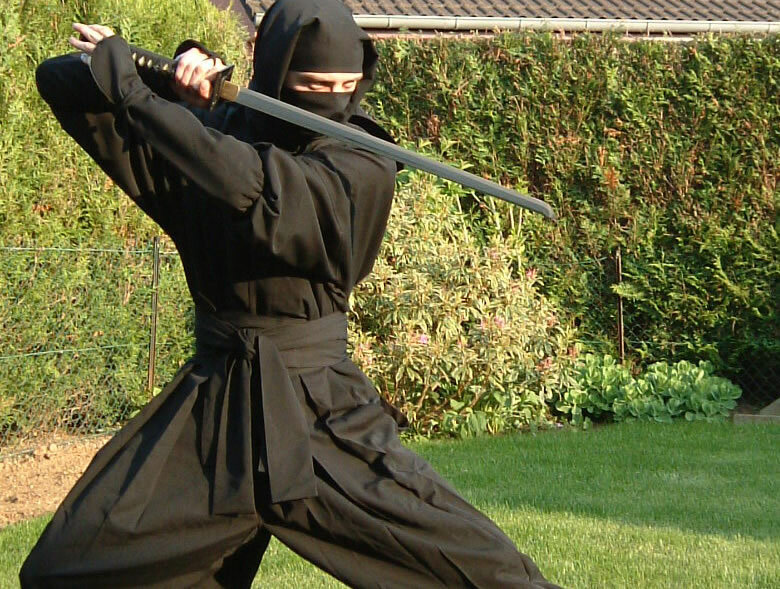 Ninjutsu encompasses the techniques, tactics and martial arts of the famous shinobi, outside Japan known as Ninja. There are 18 different disciplines in ninjutsu, some of which are unarmed combat, sword fighting techniques, disguise, espionage and stealth. Today there are plenty of different schools teaching this martial art, which was widely made popular with movies in the 1980s. 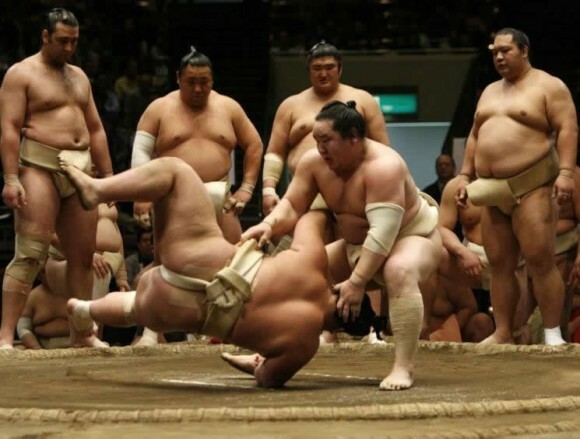 Sumo is Japan’s national sport, and it’s the only country where it’s practiced professionally. You can read more about it here if you wish. Jujutsu literally translated means “art of pliance”. It revolves around using indirect force (joint locks or throwing techniques) to defeat your opponents, rather than punching or kicking. Combat techniques do include striking, but also throwing, restraining, blocking, evading and more. 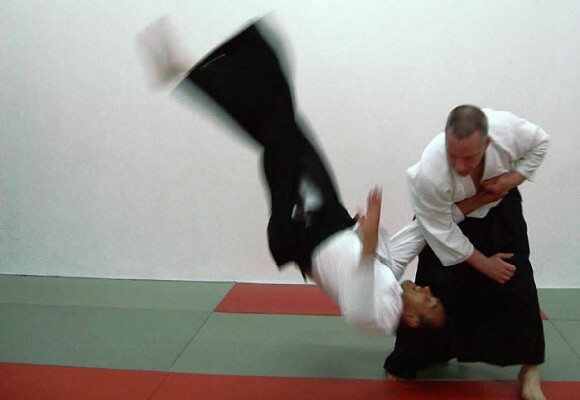 Today most jujutsu methods are incorporated into other martial arts such as judo, karate or aikido. Gendai budo literally means “modern martial way”, and it describes martial arts which are established after Meiji Restoration era (1866–1869). Some do originate from old (koryu) martial arts such Iaido, but aikido or judo for example are modern martial arts founded after the Meiji Restoration. 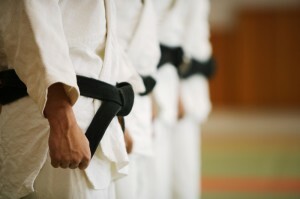 Judo means “way of softness” or “gentle way“. It’s a modern grappling-based martial art primarily practiced as a sport, and has an equal emphasis on personal, spiritual, and physical self-improvement of those who train it (judo practitioners are called judoka). It’s also an Olympic sport. The objective in judo is to throw, take down, immobilize or otherwise subdue your opponent with a grappling maneuver, or force him to submit by joint locking or by executing a strangle hold or choke. Iaido – drawing the sword from saya. Photo by Tim Nichols. 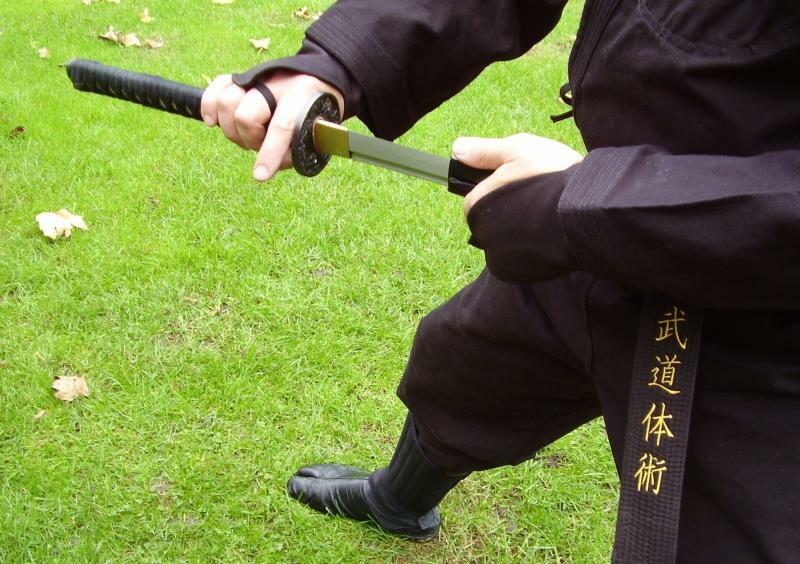 Iaido translation roughly means “the way of mental presence and immediate reaction“. 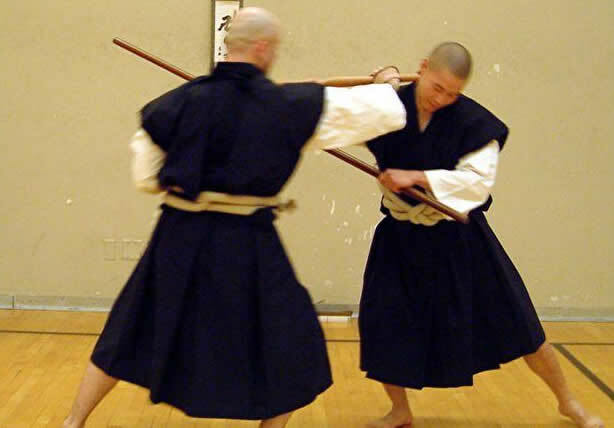 Its origins are from traditional Iaijutsu martial art, but as with many modernized martial arts emphasis was added on personal and spiritual development as well, essentially evolving iaijutsu into iaido. Practicing iaido involves drawing the sword from its scabbard (saya), striking or cutting your opponent, removing blood from the blade, and putting the katana back into the saya. Iaido practicioners are called iaidoka, and new ones usually practice with wooden bokken swords, while experienced ones mostly use unsharpened katana (iaito). Another grappling-based modern martial art is Aikido, which is based on striking, throwing and joint locking opponents rather than blunt force. It also heavily emphasizes spiritual and philosophical development of its practitioners (aikidoka). 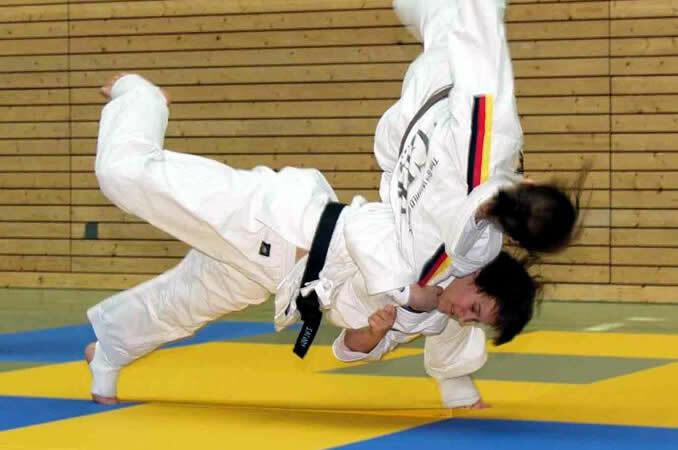 Physical strength isn’t as important in aikido as in some other martial arts, as the whole point is to use your opponents momentum to disable him. Kendo literally means “way of the sword“. It’s based on traditional swordsmanship: kenjutsu. It’s practiced wearing traditional Japanese clothing (keikogi and hakama), protective bogu (armor) and shinai. Wooden bokken swords are also used to practice kata. 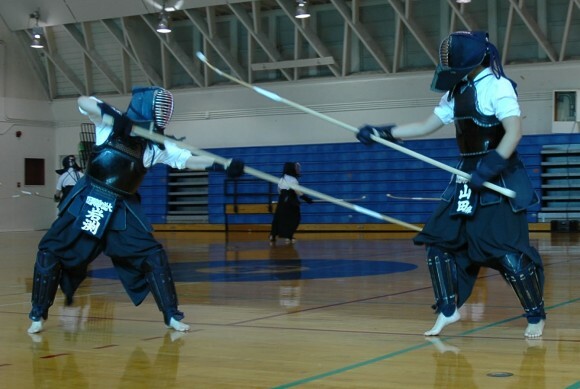 Kendo is a surprisingly loud sport, and its objective is to strike your opponent into specific parts of the body. Kyudo (meaning “way of the bow“) is a modern name for Japanese archery. Archery was used by the samurai extensively throughout the history, especially when mounted on horseback (yabusame — mounted archery) or in sieges. After the 16th century bows (yumi) were frequently replaced with firearms on the battlefield, so obviously they declined in use. Many kyudo schools include a religious or spiritual component in the training, but some do not. 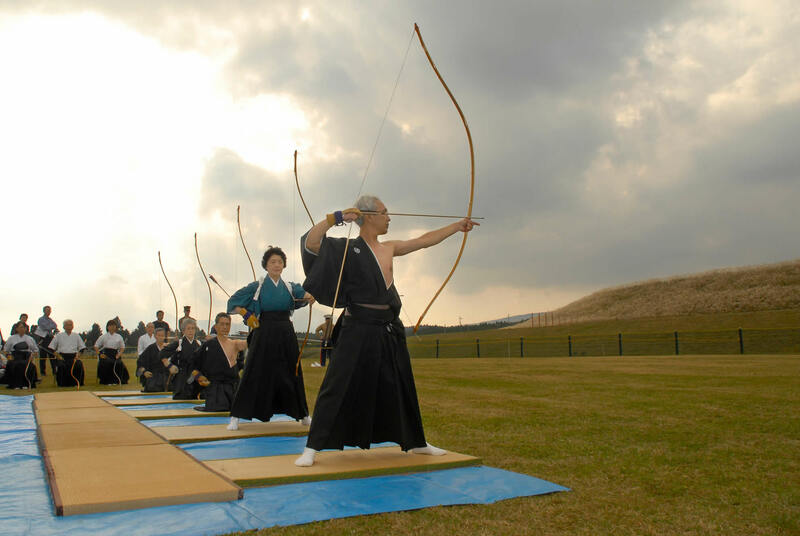 Despite being fairly uncommon, kyudo is in fact widely practiced even today. 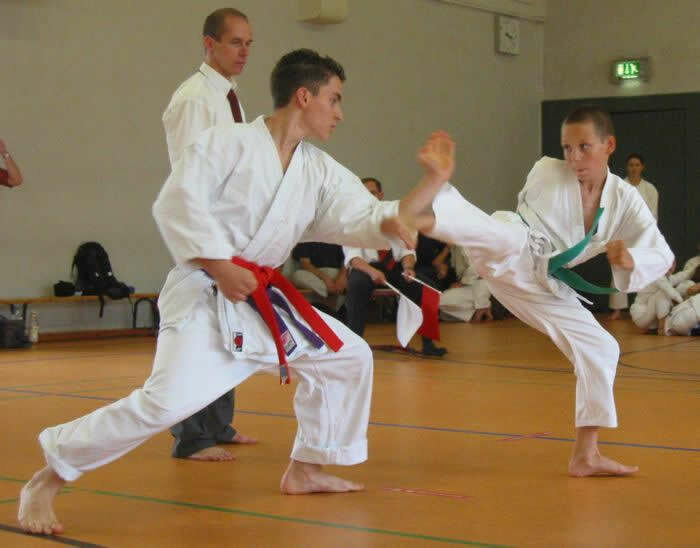 Shorinji kempo was established in 1947 as a self-defense and training system. It incorporates zen as mental training, and has many similarities to Shaolin kungfu. It’s more philosophical than most other martial arts and includes improving your mind perhaps even more than your body. Karate literally means “empty hand“. Karate practice can mainly be described by punching and kicking techniques. There are several styles of karate, but all originate from indigenous Japanese fighting methods called te and some Chinese martial arts. Today karate is practiced for cultural reasons, self-improvement, self-defense and as a sport. Some MMA practitioners also use karate techniques. This page of course doesn’t include every single martial art originating from Japan, but the most known and popular ones are listed. If you’re looking for something more uncommon, chances are you’ll have a hard time finding a school outside Japan that teaches it. Kendo, karate, judo, aikido and ninjutsu are pretty common anywhere, and no matter where in the world you live I’m sure you’ll find a school within your driving distance. It’s never too late to start practicing Japanese martial arts no matter what your preferences are, so pick one you like and try it. Very comprehensive review! Thanks for that! Very interesting is analysis of Kano Paradox which says that in practice martial arts without deadly techniques involved (like judo) are more effective than those which include such techniques (like jiu jitsu) because they can be trained fully (which is impossible in case of deadly techniques). I wonder what is your view on that? I like how you clarified that Kobudo is considered a more traditional martial art rather than modern. My husband and I would love to take classes for confidence and exercise. I think learning this style could be a great way of gaining confidence too.